Giving Tuesday, according to organizers, raised 27% more this year than last. Sounds like a good thing. Or, on second thought, maybe not. Then again, maybe it is just a thing with no real relevance at all. But wait, $380 Million dollars were raised. That’s good. Right? Could be, unless it means that $380 Million LESS is raised during the end of year campaigns. And, if charitable giving remains hovering around 2% of the gross domestic product, then, truly it is a just a thing and new shiny thing to talk about, but which doesn’t mean anything at all. Personally, I hate Giving Tuesday. My inbox gets crammed with emails asking me to give because…well, because it’s Giving Tuesday. Despite the fact that most of the organizations from which I get emails I know absolutely nothing about. And the ones I do know, well, truthfully, either I am going to support them, or I am not. Yes, I need an ask, but honestly, I needed touches throughout the year showing me how important their work is and yes, yes…that I am important to that work. And this year, organizations discovered MATCHES WORK! Or maybe worked would be more correct. Almost 100% the Giving Tuesday emails I received told me about a match. If I give now, my gift will be worth twice as much. A donor, or a group of donors (or maybe the organization created the match out of operating funds) gives a gift which is then touted to be a match. And if you give today, then all gifts up to some amount of money will be matched dollar for dollar. Except they really won’t. The gift (or the operating funds) is already theirs. It’s smoke and mirrors to make me feel that my gift is actually larger than it is. But things have gotten muddled. Or maybe I’ve just grown too cynical. Or too much of a pedant. None of this is to say that Giving Tuesday is a bad thing. On the contrary. Anything that gets nonprofits to actually ask for support is, in my estimation, a good thing—though truth to tell I’d prefer more relational type of asks. Beyond that, Giving Tuesday should not be a stand-alone thing, or a competition to other aspects of your development plan. Rather it should be part of your End of Year campaign. Most charitable giving happens at this time. 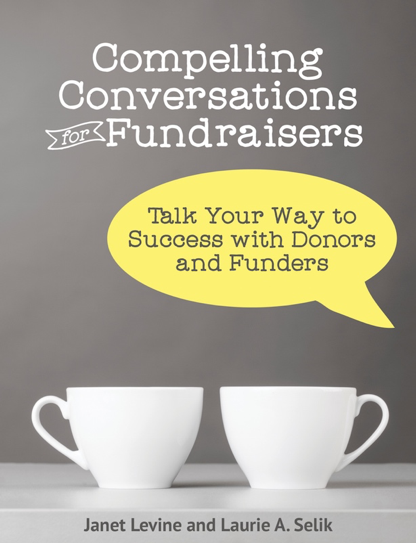 Offering donors many ways to give and reaching out to many different cohorts of potential supporters is a good thing. Who cares, really, how much Giving Tuesday brings in as a stand-alone appeal. Consider, instead, how your end of year is growing, both in number of donors, size of gifts, and ways that all this happens. Then think of Giving Tuesday as that first toss of the ball into the game of end of the year giving. Janet Levine Consulting works with nonprofits, moving them from mired to inspired. Learn how she can help your nonprofit at http://janetlevineconsulting.com. Visit and sign up for our newsletter and ask for your free 30-minute consultation. This entry was posted in fundraising and tagged challenge gifts, end of year fundraising, matching gifts. Bookmark the permalink.